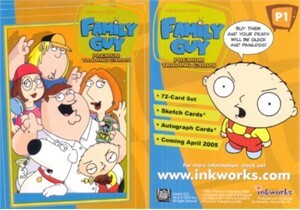 Family Guy promo card P1 distributed in 2005 by Inkworks. NrMt-Mt or better. 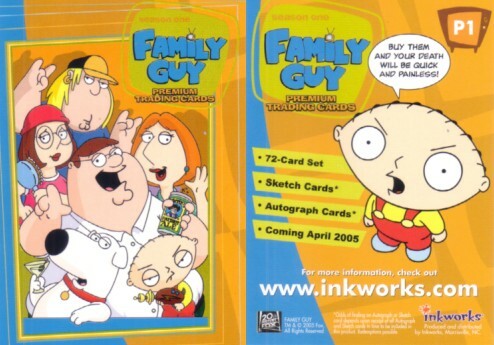 ONLY THREE AVAILABLE FOR SALE.